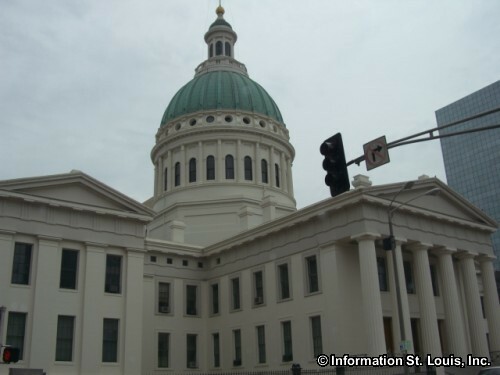 The Old Courthouse, a St Louis Landmark, is located in downtown St. Louis on land that was donated by Auguste Chouteau and Judge John B. Lucas to the city under the stipulation that it would forever be used for a courthouse. 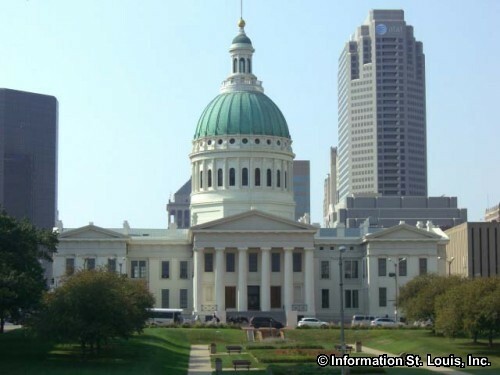 The courthouse that is seen today began as a brick building in 1828 and has undergone many periods of construction, demolition and renovation to become the beautiful building that it is today. 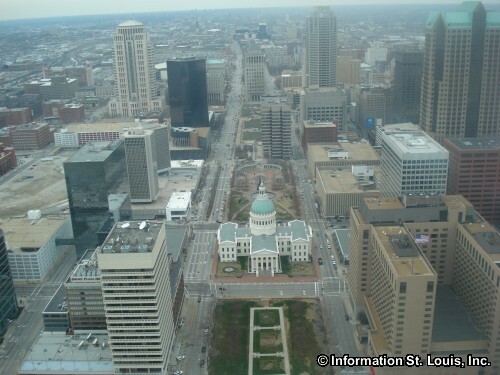 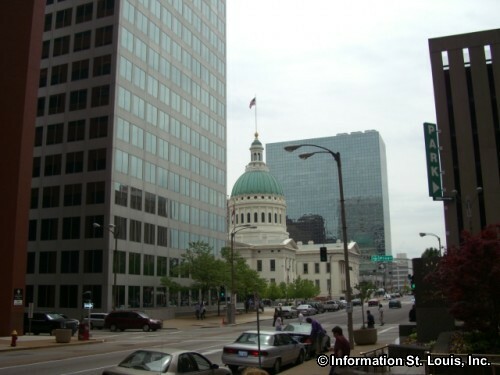 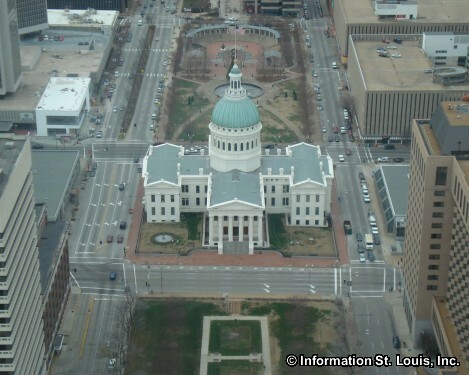 In 1930 the new Civil Courts Building was opened and the "old" Courthouse was no longer being used as a courthouse so the city of St. Louis deeded it to the Federal government. 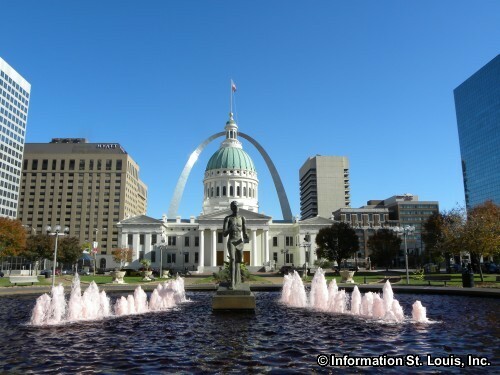 It was then turned over to the National Park Service in 1940 and was incorporated into the Jefferson National Expansion Memorial. 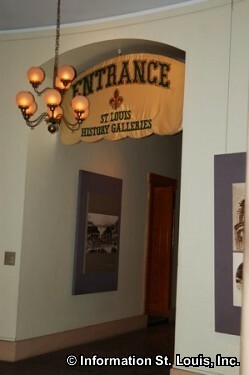 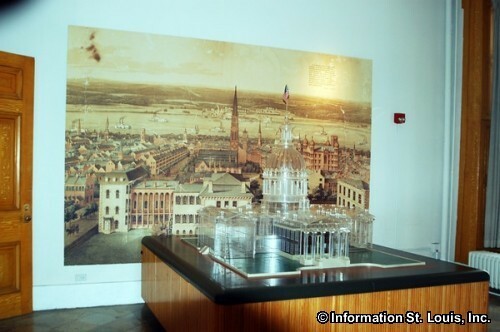 Visitors can view exhibits that trace St. Louis' history and learn about the historic slavery trial of Dred Scott and his wife Harriet that was held there. 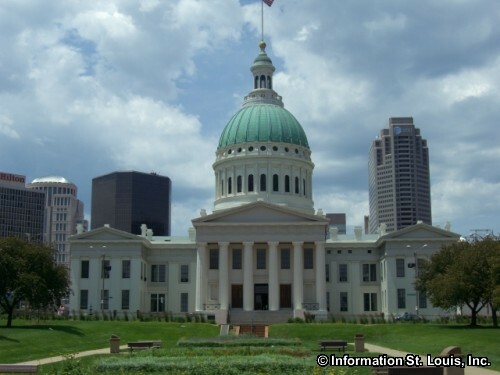 It is listed on the National Park Service's National Underground Railroad "Network to Freedom" because of the Dred Scott case. 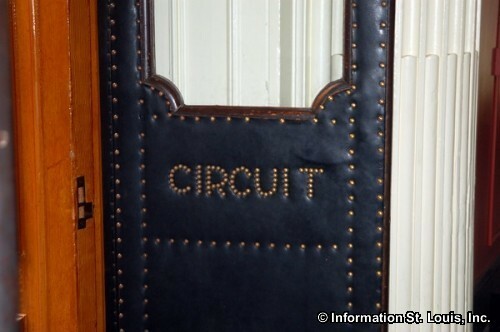 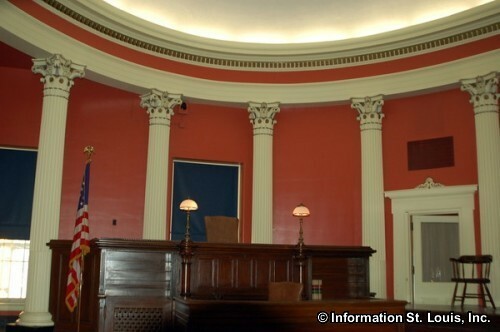 There are also two restored courtrooms, one restored to its 1860's appearance and the other to its 1910 appearance. 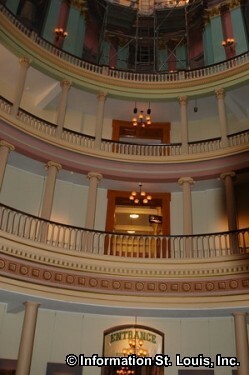 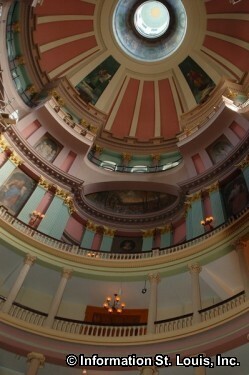 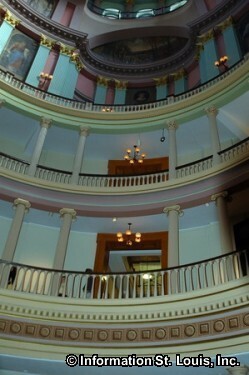 Many special events are held at the Old Courthouse throughout the year. 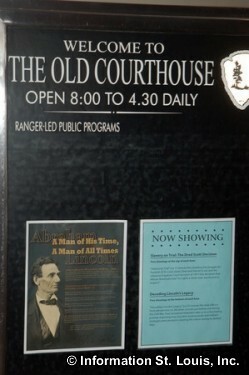 Admission to the Old Courthouse is free. 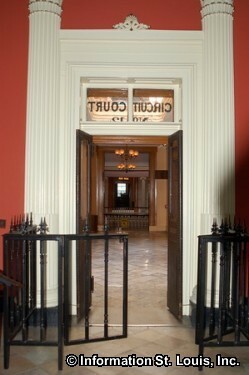 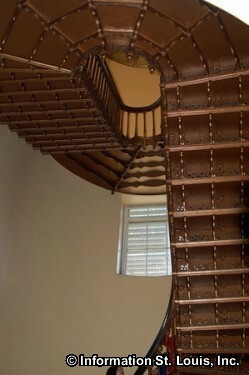 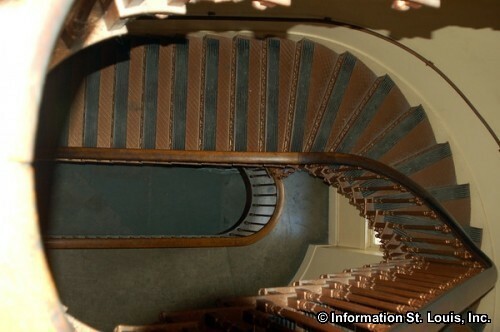 The Old Courthouse is open daily from 8am to 4:30pm. 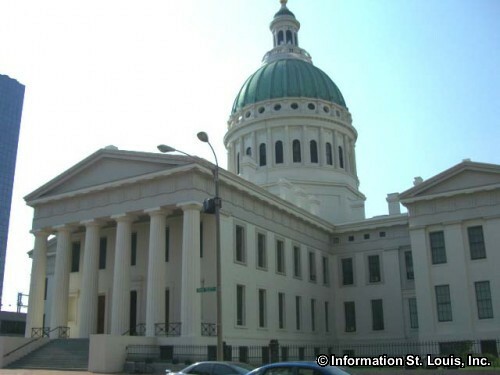 The Old Courthouse is closed on Thanksgiving, Christmas and New Year's Day.